WE LOVE TO PHOTOGRAPH PEOPLE ! Everyone seems to have a digital camera these days, but to obtain a photograph that captures your natural beauty and the sparkle of the moment, you need a sensitive photographer that has the professional experience to capture your image in the most flattering manner. 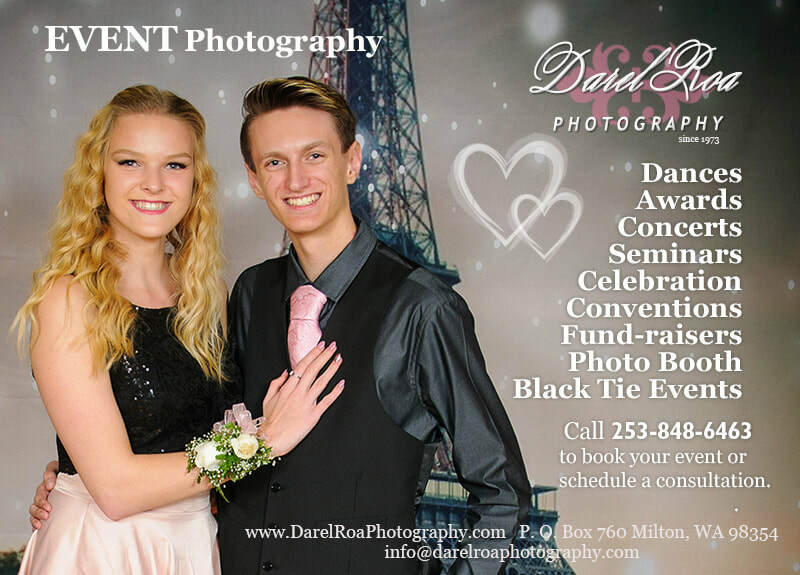 For over 30 years discerning people from Tacoma, Puyallup, Seattle , and all over the Puget Sound have selected Darel Roa Photography for professionalism, value, creativity, and a great time while being photographed. You photographed my wedding years ago. What about my negatives?